- Today is Expat Day at the Museu Maritim at 10 am. You can register online or get the tickets at the entrance. It is a place for the international community and you will get the info you need if you are settling down in Barcelona. Register here. - Don't miss the 48h Open House Bcn this weekend. 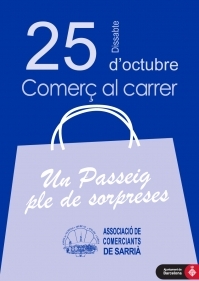 - Today a gastronomic and shopping date if you are around the Sarria District. From 10 am on c/Major de Sarria. - Tomorrow if you are around the Gracia district don't miss their 1st Book Fair. More info here. 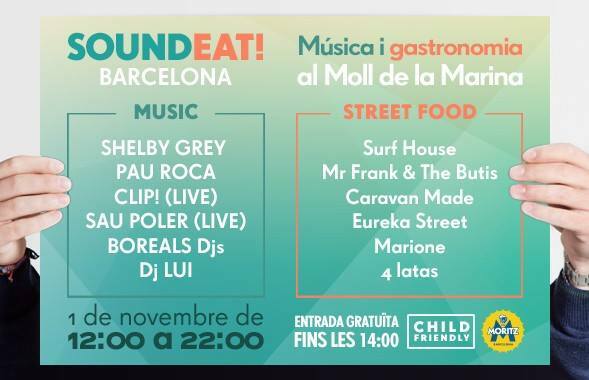 - If you are a fan of Food markets, next weekend we have one more combining gastronomy and music. On Nov 1st SOUND EAT. From 12 till 10pm, at the Moll de la Marina. Unlike the other foodie market the entry will be free only till 2pm, after that you will need a ticket of a 5e cost. Participating restaurants: Surf House and 4 Latas. Food trucks: Caravan Made, Crêperie Marionne, Eureka Street Food and Frank and the Butis. 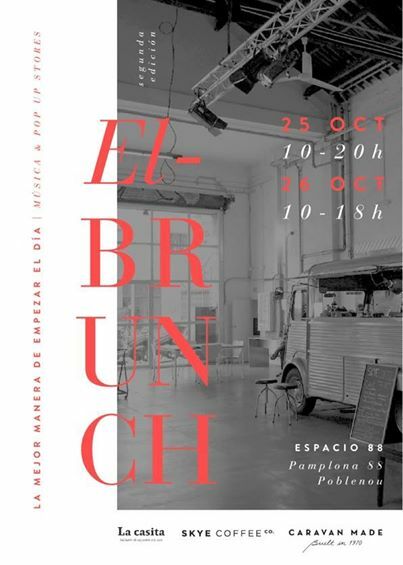 - This weekend at Espacio 88" you have The Brunch from 10 am onwards with the participation of Caravan Made, Skye Coffee...Vuelve El Brunch! Este sábado de 10h a 20h y el domingo de 10h a 18h, Caravan Made, SKYE Coffee co., Rulo Peluquería , Petit Marmot Neukölln y El Petit Atelier de Cosmética Natural estarán en Espacio 88". Come and enjoy!